While SUVs are wonderfully versatile, they tend to be thirsty beasts. Hybrid drivetrains integrate electric motors to take some of the sting out of the weekly tab at the service station, although they tend to cost more than their conventional counterparts. When gas prices rise, however, it changes your calculations. 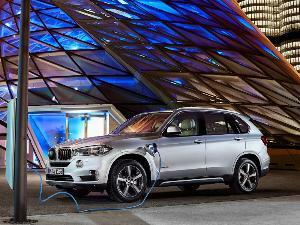 If you’re really keen on reducing the amount of gasoline you use, you’ll want to consider a plug-in hybrid (PHEV). While PHEVs have substantially higher sticker prices, they’re eligible for substantial federal tax rebates. Some states offer rebates on PHEVs, as well. This can come in handy on April 15th, but you’ll want to verify exactly which tax rebates apply before signing on the bottom line. Worth noting: none of the hybrid SUVs on our list are domestic. While Ford, General Motors, and Fiat/Chrysler have offered hybrid SUVs in the past, none are currently doing so. 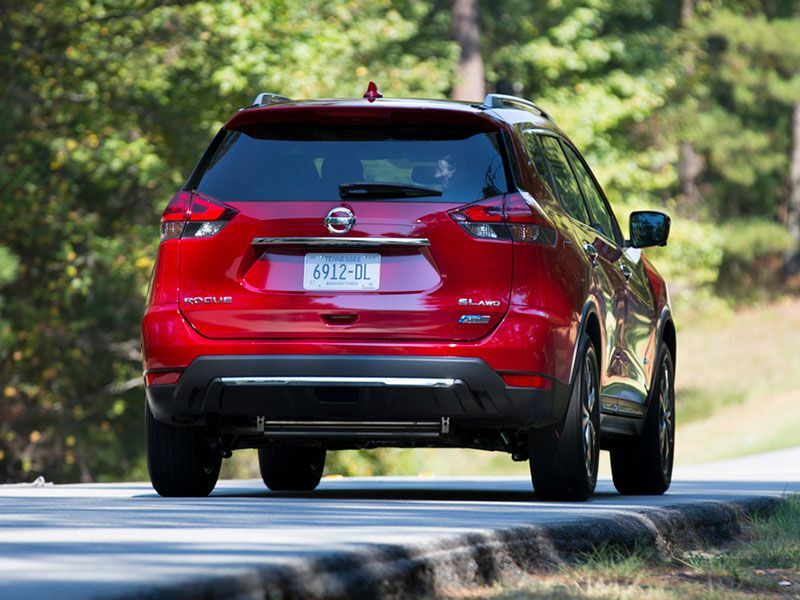 The chart-topping Nissan Rogue Hybrid ($26,640) is offered in front-wheel-drive (FWD) and all-wheel-drive (AWD) variants. 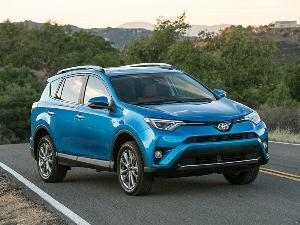 The FWD version edges out the AWD Toyota RAV 4 Hybrid as the most fuel-efficient non-plug-in hybrid SUV for 2018, with an EPA rating of 33 city / 35 highway / 34 combined MPG. The AWD version is rated slightly lower at 31 city / 34 highway / 33 combined. 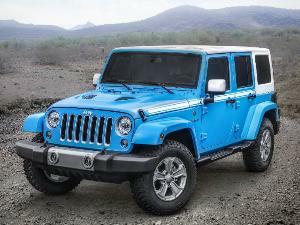 Power comes from a 2.0-liter four-cylinder engine and a 30 kW electric motor. The net system rating is 176 horsepower. The Rogue Hybrid ’s second-row seats provide 39.7 inches of headroom without the moonroof (37.8 with moonroof), 37.9 inches of leg room, and 55.9 inches of shoulder room. There are 27.3 cubic feet of cargo space behind the second row and a total of 61.4 cubic feet with the seat folded down. The luxurious all-wheel-drive Lexus RX 450h Hybrid ($45,695) is EPA rated at 31 city / 28 highway / 30 combined MPG. The drivetrain mates a 3.5-liter V6 engine with three electric motors for a net system rating of 308 horsepower and a factory estimated 0-60 MPH time of 7.9 seconds. 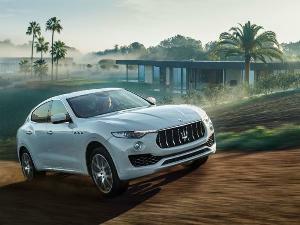 The 450h is the only vehicle on our list of hybrid SUVs that requires premium gasoline. 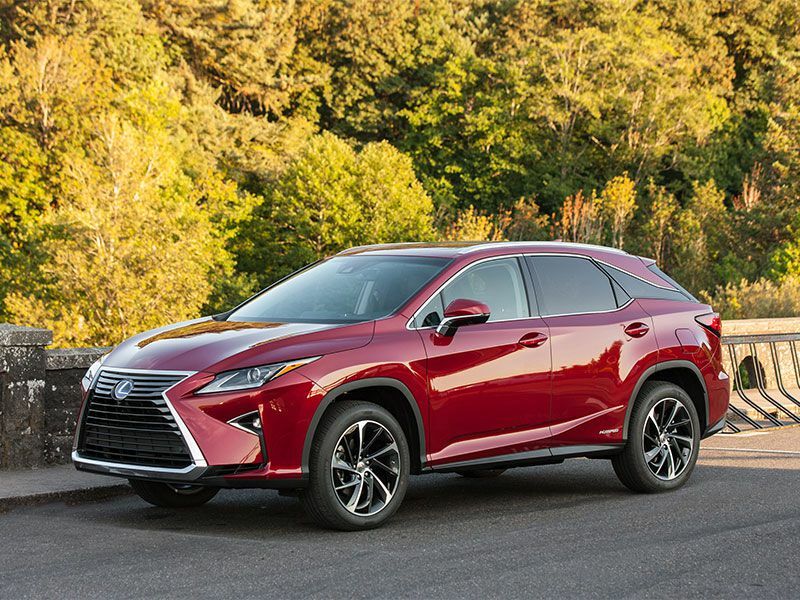 The Lexus RX 450h’s second-row seats provide 38.2 inches of headroom, 38 inches of leg room, and 57.6 inches of shoulder room. There are 18 cubic feet of cargo space behind the second row and a total of 55.9 cubic feet with the seat folded down. The seven-passenger RXL model is new for 2018. 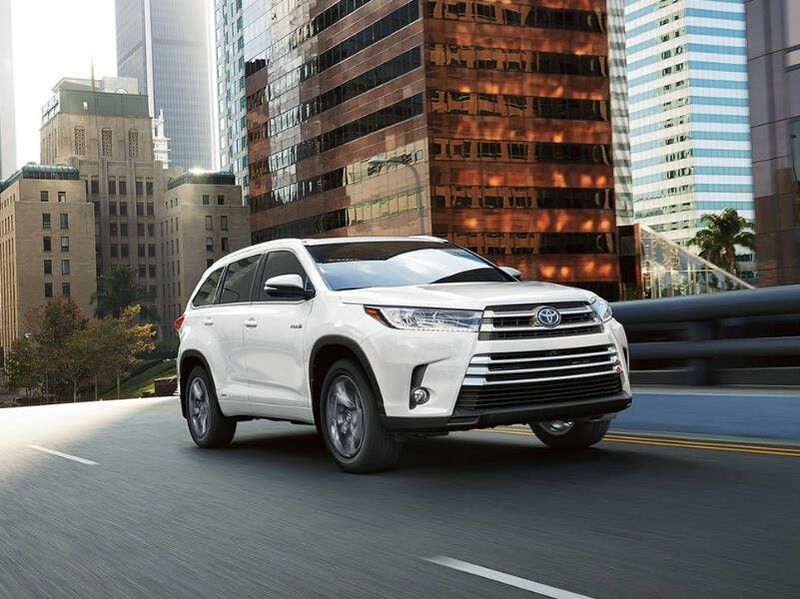 The three-row Toyota Highlander Hybrid 4WD LE ($36,670) is EPA rated at 30 city / 28 highway / 29 combined MPG. The Highlander Hybrid’s drivetrain consists of a 3.5-liter V6 engine mated to a trio of electric motors. The net system rating is a healthy 306 horsepower. The second row sliding and reclining seats provide 39.9 inches of headroom without the moonroof, 39.6 inches with moonroof, and 37.8 inches with the panoramic moonroof, along with 38.4 inches of leg room, and 59 inches of shoulder room. The third row provides 35.9 inches of headroom, a scant 26.7 inches of legroom, and 55 inches of shoulder room. The Highlander Hybrid LE’s allows for 13.8 cubic feet of cargo space behind the third row, 42.3 cubic feet behind the second row, and a total of 83.7 cubic feet overall. The all-wheel-drive Lexus NX 300h Hybrid ($38,335) is EPA rated at 33 city / 30 highway / 31 combined MPG. The NX 300h hybrid’s drivetrain combines a 2.5-liter inline four cylinder engine with three of electric motors. The system produces 194 horsepower net with a factory estimated 0-60 MPH time of 9.1 seconds. The NX 300h hybrid’s second-row seats provide 38.1 inches of headroom, 36.1 inches of leg room, and 55.3 inches of shoulder room. There are 16.8 cubic feet of cargo space behind the second row, along with a total of 53.7 cubic feet when the rear seat is folded down. 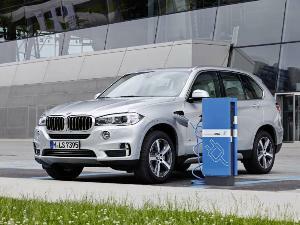 The X5 xDrive40e plug-in hybrid ($63,750) is quick and competent. The hybrid drivetrain combines a 2.0-liter inline four-cylinder engine with an electric motor (CHECK) for a 308 total system horsepower, with a factory estimated 0-60 MPH time of 6.5 seconds. It’s EPA rated at 56 MPGe combined with a full charge and 24 MPG combined while running on gasoline. 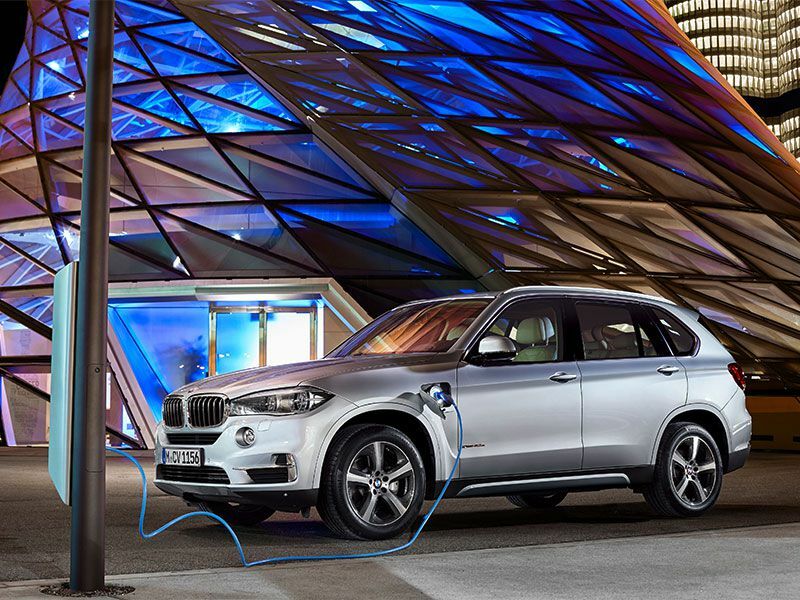 The plug-in battery provides 14 miles of pure electric range. Charging time is approximately seven hours on house current and slightly less than three hours on a level 2 charger. The X5 xDrive40e’s second-row seats provide 38.8 inches of headroom, 36.6 inches of leg room, and 58.3 inches of shoulder room. There’s 34.2 cubic feet of cargo space behind the second row and a total of 72.5 cubic feet when the rear seat is folded down. 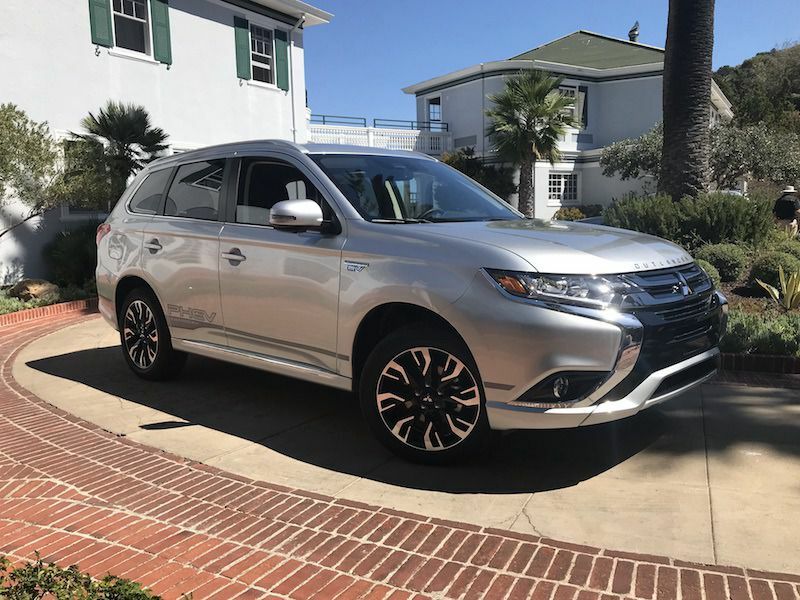 The Outlander PHEV ($34,595) is the world’s most popular plug-in hybrid crossover. 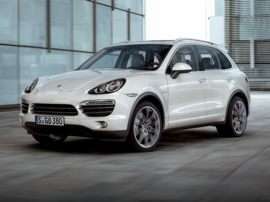 The drivetrain combines a 2.0-liter inline four-cylinder engine with a pair of electric motors. It’s EPA rated at 74 MPGe combined with a full charge and 25 MPG combined while running on gasoline. The plug-in battery provides approximately 22 miles of pure electric range. Charging time is eight hours on house current, three and a half hours on a level 2 charger, and 25 minutes on a CHAdeMO DC Fastcharge (up to 80%). Apple CarPlay and Android Auto support are standard. The Outlander PHEV’s second-row seats provide 38.3 inches of headroom (38.1 with sunroof), 37 inches of leg room, and 56 inches of shoulder room. There’s 30.4 cubic feet of cargo space behind the second row and a total of 78 cubic feet when the rear seat is folded down. 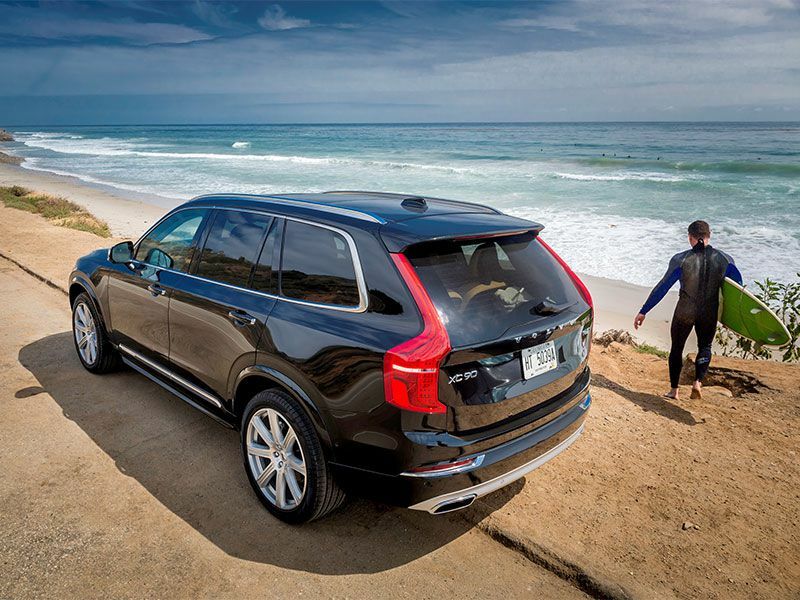 The three-row XC90 T8 eAWD PHEV ($64,950) is a hot-rod plug-in hybrid. It’s EPA rated at 62 MPGe combined with a full charge and 27 MPG combined while running on gasoline. The drivetrain pairs a direct-injected turbocharged and supercharged 2.0-liter four-cylinder engine with an electric motor for total system rating of 400 horsepower and a factory rated 5.3 second 0-60 MPH time. 91 octane fuel is recommended. 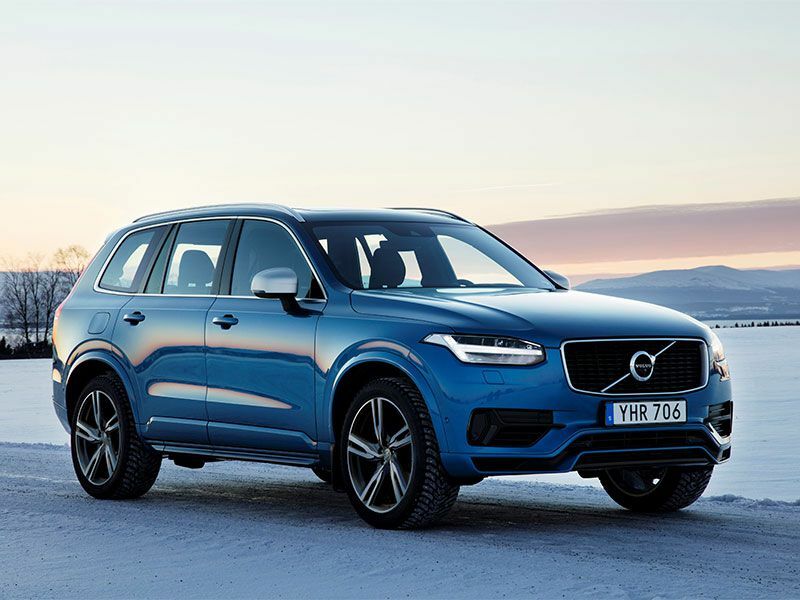 The XC90 T8 eAWD PHEV’s second-row seats provide 38.5 inches of headroom with sunroof (39.3 without), 37 inches of leg room, and 56.5 inches of shoulder room. The third row provides 36.3 inches of headroom, 31.9 inches of legroom, and 47 inches of shoulder room. There’s 11.2 cubic feet of cargo space behind the third row, 34.1 cubic feet behind the second row and 64.1 cubic feet with both rows folded down. The all-wheel-drive GLC350e 4matic plug-in hybrid ($49,990) is elegant, fast, and efficient.The hybrid powertrain combines a turbocharged 2.0-liter inline four-cylinder engine with an electric motor for a 320 total system horsepower rating, with a factory rated 0-60 MPH time of 6.2 seconds. It’s EPA rated at 74 MPGe combined with a full charge and 25 MPG combined while running on gasoline. The GLC350e 4matic’s second-row seats provide 38.5 inches of headroom, 37.3 inches of leg room, and 56.5 inches of shoulder room. We should have full specs before it arrives in the States later this year.